On September 5 at approximately 11:54 a.m. the Calcasieu Parish Sheriff’s Office responded to walk-in complaint to the Sheriff’s Office at 5400 E. Broad Street in Lake Charles. The complainant advised they found a 15 month old child wandering barefoot on Legion Street in traffic. The complainant also advised deputies that they attempted to located the child’s residence but were unsuccessful. 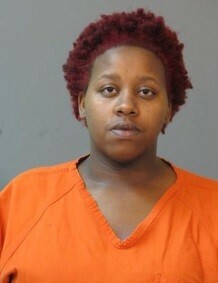 A short time later, Keondria Savoy, 21, Lake Charles, reported the child missing. When detectives spoke with Savoy she stated she had gone to the bathroom and her 2 year old must have opened the door to the residence. Savoy stated that when she exited the bathroom the 2 year old was in the home but she was unable to locate the 15 month old. The investigation revealed Savoy’s story was not consistent with what witnesses described. After further investigation Savoy was arrested booked into the Calcasieu Correctional Center and charged with cruelty to a juvenile. She was released on a $15,000 bond set by Judge Robert Wyatt.